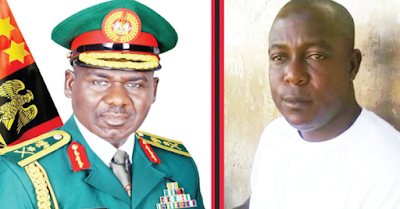 Punch Metro learnt that operatives of the NCS at the Agbara checkpoint had attempted stopping the convoy for a routine search when a Nigerian Army van piloting the fleet killed Nwaguyawo. Punch correspondent gathered that the deceased, with service number 53225, was until his death an anti-smuggling operative of the Federal Operations Unit, Zone A, Ikeja, Lagos. » GRAPHIC PHOTOS: Man Crushed To Death In Fatal Accident Along Lagos-Ibadan Road.